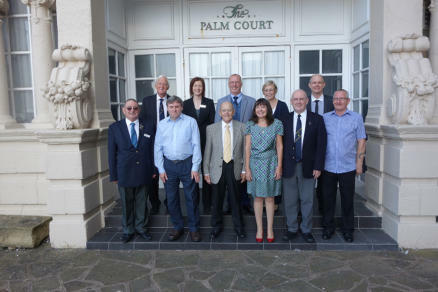 Another successful convention took place on September 20/21 when we all gathered in the Lancastrian Suite of the Imperial Hotel, Blackpool to celebrate our fifty third year of existence. A wonderful achievement for all those dedicated members from 1961 right up to 2014 who have worked and supported the George Formby Society. 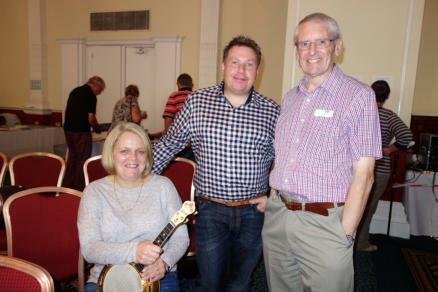 Fifty three years is a long time to be playing, singing and talking about George Formby - but there appears to be no letting up in the interest created by the Formby name and the development of the GFS. A Good Crowd A good crowd was in attendance on Saturday afternoon well before the opening concert started and GFS president Gerry Mawdsley welcomed friends old and new to the proceedings. Gerry also was master of ceremonies for the first session and the Westhoughton branch organiser Gary Hampson was first on stage to set the ball rolling. Many people travelled from far and wide to be with us, Terry and Marie Tucker made their usual September pilgrimage from sunny Californian shores and visiting for the first time from Canada was Fred Tierney. I understand that we also had visitors from France and a return visit from the USA of Johnny Foodstamp with his own unique interpretation of Formby numbers. No matter how many conventions we have, they all generally take the same route of entertainment, sometimes the faces might be different but the theme remains the same - and why not? 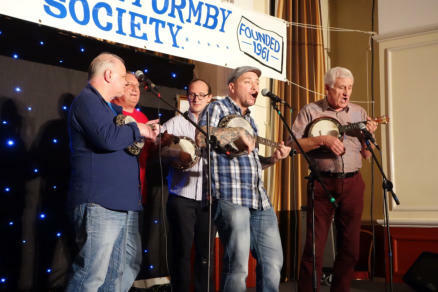 With a repertoire of over 200 songs, we could go through the whole weekend without repeating a Formby number - but of course some members wish to entertain with non-Formby material - which is fine just as long as we remember just why we are in the room. Sound Engineer One issue that we have had in the past is audio problems - but not at this convention. Once the equipment was set up, Alan Chenery's son Mike took charge and manned the sound desk throughout the weekend without a problem. The audio quality is a massive responsibility but Mike Chernery can be congratulated for managing it without issues, and is now our regular audio engineer for future Blackpool conventions. He was assisted on occasions by our drummer, Dale Norman. 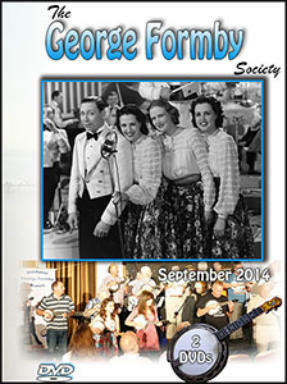 So we enjoyed a succession of entertainers throughout the Saturday afternoon and evening and also enjoyed that rarest of Formby films, "Feather Your Nest" which is at long last now available on DVD from the George Formby Society shop. Following the Saturday film was Gerry Mawdsley with his aution of Formby memorobilia. Gerry does a great job of raising cash for the Society and adds an element of fun in the process. Gerry is a born entertainer and has the ability to sell just about anything - including 33 VHS copies of the film "I See Ice"! AGM On Sunday morning an above average audience attended the 53rd AGM in which the committee stands down and is re-elected for a further year. This year we observed the retirement of Chairman Dennis Mitchell and Vice Chairman and archivist Neil Forshaw. Both these members have put years of service in to the Society and were warmly applauded by the members for their efforts. 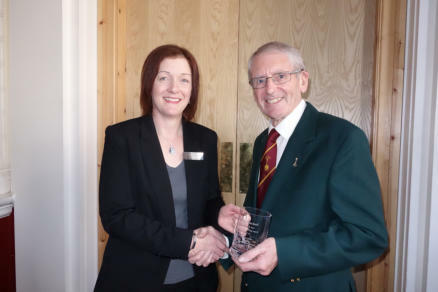 They were also both presented with inscribed cut glass tankards as a "thank you". Two new people elected to the committee were Daz Barry (Vice- Chairman) and Andrew Poppleton (Asst Treasurer), both are dedicated Formby members and many will know them - Daz because he can be seen working with Pam Baddeley as one of the concert organisers and Andrew because of his highly successful tuition classes. We also welcomed a new archivist in 16-year-old Lewis Clifton. Lewis is a great choice for this role, he is enthusiastic, has the Formby knowledge, together with a happy knack of coming up with Formby memorabilia. I feel sure that he will be a massive asset to the GFS not only as our archivist, but in many other roles that may became available to him in the coming years. New Chairman A new chairman was also welcomed on to the committee and again, a great choice in Caroline Stewart who created history by being the first ever lady chairman. There must be something in the name because the late Eve Stewart (no relation) did great work for the Society in the 1990s as our secretary. 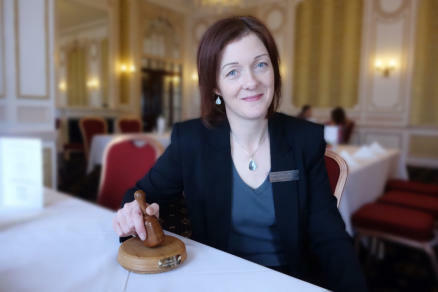 Caroline is also very welcome, she joined the committee in September 2013 as assistant treasurer but has made her presence felt in so many other ways within our Society. Caroline is also full of enthusiasm not just for the George Formby Society, but also for her new role and again, I feel sure that she will be a massive asset both now and in the future. 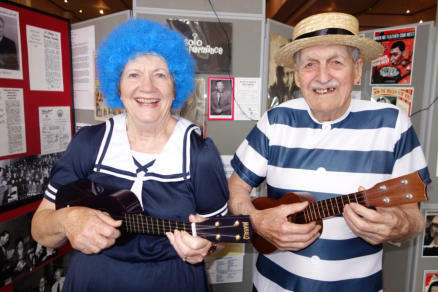 The AGM also revealed that the George Formby Society Shop has once again enjoyed a very healthy year. Without the shop the Society would soon see a drop in finances so please continue to support it and the Society. The shop always tries to be competitive and is staffed both at Blackpool and throughout the year by volunteers who freely give their time and energy to support the cause. Sunday Evening Sunday evening's film was "Get Cracking" and again members enjoyed a DVD which was perfect in every way. Long gone are the days when we all had to accept 3rd or 4th generation video copies which on some occasions looked as if they had been filmed in a snow storm! Dennis Lee ran his 'Up and Comers' concert on Sunday afternoon but sadly this was Dennis's last involvement with the 'Up and Comers' as he cannot guarantee to be at every future convention. Dennis has also done much work in various roles throughout his GFS life and again, those efforts at very much appreciated by all. So another great weekend comes to a close and with new people on the committee and new members coming through the door, the future for the GFS looks good.